Learn more about community-based learning and share your own experiences with fellow faculty and instructional staff. The Morgridge Center for Public Services offers a number of opportunities for those participating in or interested in CBL to come together. Held the first Thursday of each month, Bagels and Research presentations highlight community-based research on the UW campus. Presenters included graduate students, faculty/staff and community partners. The Engaged Scholarship Roundtable series features local and national speakers addressing community-based learning initiatives and best practices. Past discussions have featured topics including how to obtain tenure through community-based research and how to build community relationships. 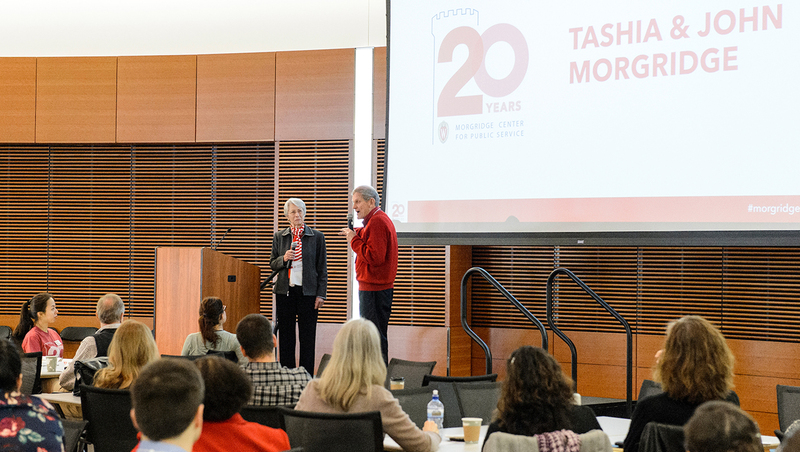 Counseling Psychology 620 (section 004): “Best practices in community-engaged scholarship” is being taught by three Morgridge Center staff and graduate students fall 2018. The course is open to students and auditors are welcome! This new community of practice (CoP) was established to give those faculty, staff, and students interested in community-engaged scholarship a space to network, share ideas, collaborate, troubleshoot, and learn more about equitable community-engaged research and teaching. If you are interested in joining this group, please send an email to Beth Tryon. This CoP typically meets on the last Tuesday of the month from 11-12:30pm at the Morgridge Center. All faculty, staff, and students who are interested in engaged scholarship are welcome to attend.